Steelcraft's latest creation is a vibrant tribute to the country that gave the world samba. 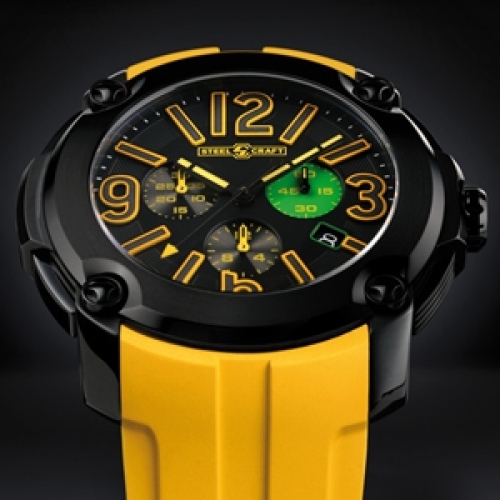 Brasil Concept sports green and yellow, the colours of Brazil's national flag, and packs all the punch of this dare-to-be-different Geneva brand while conforming to the standards of Swiss-made. Only a Brazil-inspired chronograph could get away with such a unique and exciting combination!